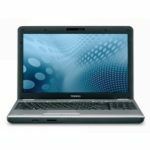 Toshiba Satellite L505D-ES5025 is a 15.6-inch laptop equipped with a 2.3GHz AMD Athlon II Dual-Core M520 Processor, 4GB 200-Pin DDR2 SO-DIMM Memory, 320GB Serial ATA Hard Disk Drive (5400RPM). 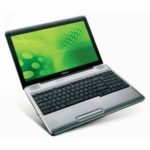 It sports a 15.6″ CCFL (16:9) 1366×768 Display, ATI Radeon 4200 Graphics, DVD SuperMulti Drive. The laptop runs on Window 7 Home Premium 64-bit Operating System. Sure, this is an advanced configuration, it's good enough for our daily use, people are super happy with it. 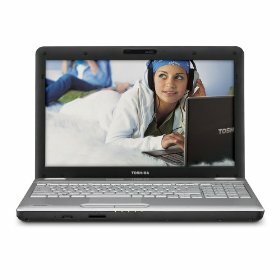 As a well-configured 15.6″ laptop, the Toshiba Satellite L505D-ES5025 could be a perfect entertainment laptop, you'll enjoy wonderful experience with, I mean, watching movie will be a great happiness on this laptop. 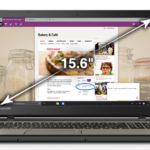 Thanks to the built-in webcam and Toshiba Face Recognition software on this Toshiba L505D laptop, you'll enjoy a more convenient way to communicate, log on or share your laptop among the family. So I'm pretty sure you'll love this laptop too. The Satellite L505D-ES5025 laptop comes with loads of impressive features, let's take a look. 2.3 GHz AMD Turion II Dual-Core Mobile M520 processor with 1 MB L2 cache for excellent multi-tasking. And it's designed to handle simultaneous 32- and 64-bit computing with no degradation in performance. 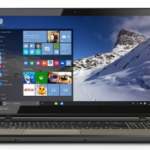 Of course, these are just the main features this Toshiba entertainment laptop offers, you'll find out more cool features when you get the laptop. 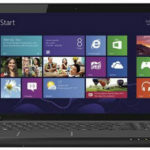 So what do you think about the Toshiba Satellite L505D-ES5025 TruBrite 15.6-Inch Laptop?